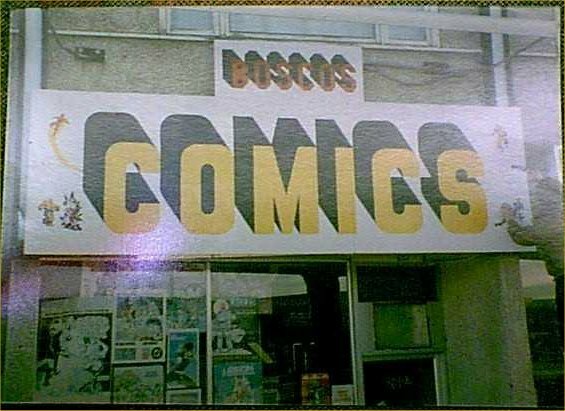 B OSCO'S began in 1984* as a van load of comics and 300 square feet of selling space shared with a shoe repair store. 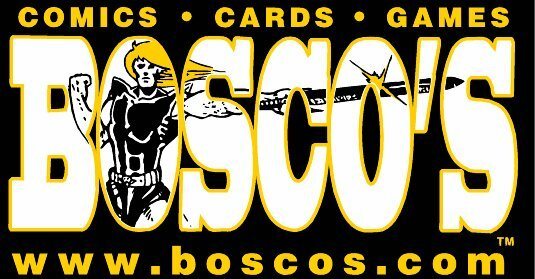 Now, BOSCO'S, Inc. is a group of retail stores specializing in comics, cards, games and the paraphernalia of pop culture. We are not a fancy operation. We use simple fixtures that let the merchandise speak for itself. We don't do huge advertising campaigns. Instead, we maintain a steady flow of events and new and interesting products that make every day special. We have a staff that speaks the collector's language. We are all gamers and collectors and our customers expect that. We offer full service, tremendous variety and a great shopping experience. Shopping at BOSCO'S is an adventure. T he company's roots are in 1983 when Randy Ramuglia purchased The Comic Shop in Fairbanks, Alaska. The market for comics was just entering a boom as dozens of new companies began publishing comics. The large variety of titles appealed to a much broader readership than ever before. Comics were maturing and adults were returning to comics. The store filled with much more than comics. Randy's ordering philosophy was then and remains today: "Everything sells, let's get some." 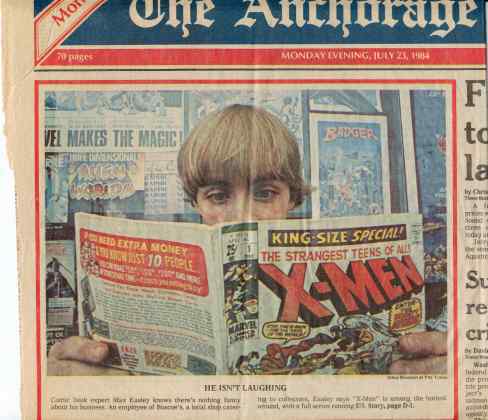 Randy knew that Alaska's "Big City," suffered without a proper comic shop. In a quest to bring great comics to all of the Great Land, Randy traveled 350 miles south to open a store in Spenard, the soul of Anchorage. Spurned by most realtors, Randy cut deal with a kind shoe repair man and shared his space. By the end of the year the store was moved into a nearby 1,000 square foot space. Roleplaying games were added to the shelves. BOSCO'S quickly became a fully stocked full service game store. Nooks and crannies filled with odd and rare things. The store was busting at the seams. On "New Comic Day" lines formed at the door! In March of 1987, the Anchorage store was moved overnight across the street into 1,800 square feet. Baseball cards were added as a main product line. For a few weeks there was room in the store. Then we filled it up again. Our sportscard department boomed as we hustled to get what folks wanted. We built up a "Wall-o-Wax" and filled over a dozen display cases with single cards. Lines still formed at the door. I n 1988, BOSCO'S in Spenard increased its size to 2,800 square feet. A second Anchorage store was opened in the Dimond Center, Anchorage's premier mall, in June of 1988. This store is known as BOSCO'S II. In 1990, BOSCO'S I continued to flourish in lovely Spenard. We knocked out another wall to expand it to 4,200 square feet. In our struggle to get what our customers need to be happy, we continued expanding into new product lines. We carried more shirts, posters, art, pins, books cards, jewelry, toys.... the list goes on and on. Shopping at BOSCO'S became a greater adventure. I n 1991, we purchased Basement Baseball Cards. In June, this store was moved to a prime location with 1,400 square feet in Eagle River. 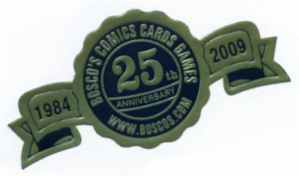 Comics, games and licensed sports clothing were added to create a full fledged BOSCO'S. Sales were beyond our expectations. We also purchased All Star Sports. We closed that store and moved the inventory to the Spenard store. In 1992, Superman died and we moved the Dimond Center store to a busier location in the mall and doubled its size. More comics, more cards, more games, more t-shirts, more ...well, you get the picture. At all of our stores, we increased our stock of autographed sports memorabilia. The POG craze hit and we caught the wave. I s BOSCO'S important to the cultural scene in Anchorage? In July of 1994, BOSCO'S became part of the Consumer Price Index used to measure inflation! Based on a survey of Anchorage buying habits, BOSCO'S was chosen to be part of the Anchorage Consumer Price Index. The items included in the Bureau of Labor survey are MAGIC: The Gathering starter decks and the Shadowrun roleplaying game. In 1996 we remodeled the Spenard store. The place was totally spiffed up. The sports cards department got its own room. Anime got a corner. We got airconditioning!! In January of 1999 we scheduled a series of ads for a product called "Pokemon." No one seemed to know what it was at the time and we had ordered "a ton" of it. By the time the ads ran a few weeks later, everyone knew Pokemon and that "ton" of cards evaporated! The rest is just a blur. What a wild year! I n Spring of 1999 we moved the Eagle River store to a prime location and doubled its size. In fall of 1999, we did the same to the Dimond Center store. The Eagle River store was closed in March of 2004. We had a good 13 year run. BOSCO'S continues to expand into more products. Our sports card department is among the best stocked in the country. We have boxes and packs of Baseball, Hockey, Football, Basketball and all the variety of sports and nonsports cards available. We carry the full breadth of comics, graphinc novels and manga. We've got the best selection of CCG's, roleplaying games and the better family games. Our selection of Anime can't be beat! And our used video games selection is growing fast. There is a full calendar of events every month, from weekly Magic Days and Anime showings to game tournaments and special sales. The history of BOSCO'S is one of listening to our customers and getting what they want. Scrambling to keep up with our customers' whims keeps us on our toes and fills the stores with a variety of products that makes shopping at BOSCO'S an adventure. * Until December of 2007, the happy BOSCO'S historian thought we'd opened in May of 1985 based on discussions with the company's founder. The Anchorage Times article pictured is from July of 1984. Seems we were off a year.